Photo by ikonta from the Torontoist Flickr Pool. At City Hall there is often very little agreement about property taxes, other than the fact that they are confusing. People will debate the merits of a 1.75 per cent or 2.5 per cent property tax increase for weeks and months, but if you stop and ask them to explain how property taxes actually work, you’ll get a lot of blanks stares. This is despite the fact that property taxes are the predominant taxing mechanism the municipal government can use to raise money, and they amount to 40 per cent of the annual operating budget. Here’s a handy guide to the most misunderstood tax in Toronto. With sales and income taxes (which can only be levied provincially and federally) governments establish a tax rate, and then see how much money that brings in. If the economy grows or shrinks over the course of the year, governments can find themselves with substantially more or less money than they planned on: in an important sense these taxes are unreliable. And if governments raise less than expected, they must sometimes run a deficit to make up the shortfall. By contrast, municipal governments in Ontario are prohibited by law from running deficits: they don’t have the flexibility to deal with unreliable revenues. They need a more stable revenue source. Compared to sales and income taxes, the primary tax tool cities have—property taxes—work in reverse. Each year municipalities decide how much money they need to bring in, and then set their property tax rates accordingly, to ensure they collect the requisite sum. They start from the total they need to raise, in other words, and work backwards to figure out what tax rate will yield that amount. Property taxes are calculated based on the assessed value of a property—not directly, but relative to the municipal average. People often assume that if the value of a particular property doubles, then its property taxes will double as well. This is not the case. What matters isn’t whether your property value rises or falls, but how property values change throughout the city. If your property doubles in value, but everyone else’s property value doubles as well, your own property taxes will stay exactly the same—relative to the average, you haven’t changed at all. It’s only if your property value increases at a greater rate than the average that your property taxes go up. Correspondingly, if your property goes up in value, but goes up less than average, your property taxes will actually go down. Now imagine there’s a reassessment four years later, and the average property value has doubled (hey, it’s Toronto). In that same time period, House A tripled and is now worth $150,000, House B has doubled and is worth $200,000, and House C went up by 75 per cent and is now worth $350,000. House A would pay $750 rather than $500, as it grew more than the average. House B doubled in value, but so did the average, so it still pays $1,000. House C’s value went up by less than the average, so it now pays $1,750—that’s $250 less than it used to pay, even though the property has gone up in value substantially. Photo by MSVG from the Torontoist Flickr Pool. Every four years, the Municipal Property Assessment Corporation (MPAC) conducts property tax assessments to make sure they reflect changes in property values over time. But whatever the reassessment, the result will be revenue neutral for the City: even if everyone’s property value has gone up, the City will collect the same amount of money as before. What assessments do, rather, is redistribute property taxes within the city by measuring how individual property values have changed relative to the average. If your property has gone up more than average, your property tax bill will be proportionately larger. If your property has gone up less than average, your property tax bill will be proportionately smaller. The municipal government’s total take will stay exactly the same. Take our three-house scenario, above. At the end of the four-year period, when the properties were reassessed and they’d all gone up in value, the City still got the same total amount of money from them—it’s just that the money they collected was distributed differently across the properties. If income levels in Canada rise, the federal government will collect more income tax (all other things being equal). But if the total value of property in Toronto goes up, the municipal government doesn’t collect more in property tax. Again, that’s because the City starts with a total dollar amount it needs to raise, rather than with a taxation rate. Property tax isn’t a function of any economic activity—it’s manually set by the City, so to speak—and so it doesn’t grow even if property values do. And since property assessment changes are revenue neutral, the only way to increase revenue is to increase the property tax rate. The City needs to raise more money each year because while its property tax revenue is fixed, its expenses are not. Inflation and contracted wage increases mean that the City’s annual spending will go up automatically, thereby outstripping revenue (even if it institutes no new services or programs). Let’s say the City needs $1 billion in residential property tax revenue one year, and the average property tax bill is $1,000. The following year inflation is projected to be two per cent, which means that in order to purchase precisely the same goods and services (and not accounting for wage increases), the City needs to raise $1.02 billion. That would mean the average property tax bill goes up to $1,020. This is generally described as a two per cent property tax hike, and causes some politicians to get very shout-y. That’s a confused description, though—sort of like you misinterpreting a cost-of-living increase in your salary as an actual raise. The number of dollars you bring home goes up, but your relative place in the economy, your salary’s purchasing power, has stayed exactly the same. Photo by michaeleckman from the Torontoist Flickr Pool. While the residential property tax rate typically gets all the media coverage, there are actually several kinds of property tax because there are several kinds of property. The non-residential property tax classes are multi-residential, commercial, and industrial; they each have their own tax rates. Essentially, businesses paid more than their fair share for years, and now residences are paying more until they catch up. Everyone who lives or owns a business in Toronto pays property tax, regardless of whether they own or rent, and whether they live in a house or apartment. Things are simplest for homeowners: they get an annual property tax bill and have a clear understanding of how much they’re paying. For tenants in smaller buildings (like a house that’s been divided into apartments), it’s a bit more complicated: in that case, landlords see the property tax bill and pass along the cost indirectly by including it in the rent. Tenants don’t see their property tax contribution as a separate line item, though, so they don’t know exactly how much they’re paying. Tenants who live in multi-residential buildings (ones with seven units or more) are in the same boat; they don’t know exactly how much they’re paying, because it’s folded into their overall rent. But there’s another issue here, as well: because these buildings fall into a different tax classification, their tenants get taxed a different rate—a much higher one. 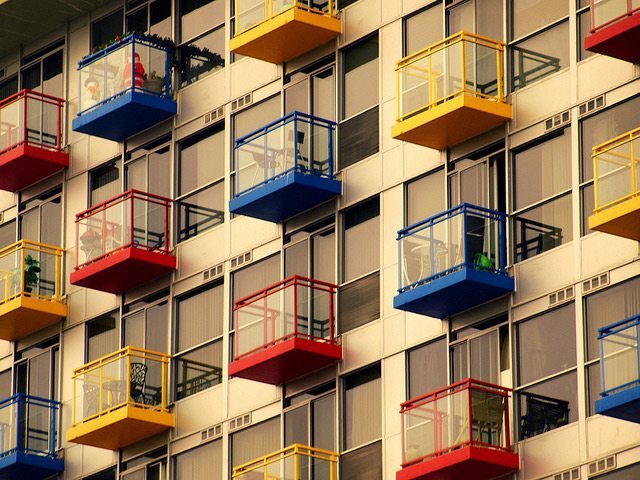 A tenant in a multi-residential building is currently taxed 3.2 times more than the owner of a detached house. This is a policy with troubling consequences, since it disproportionately affects Toronto’s lower-income communities. 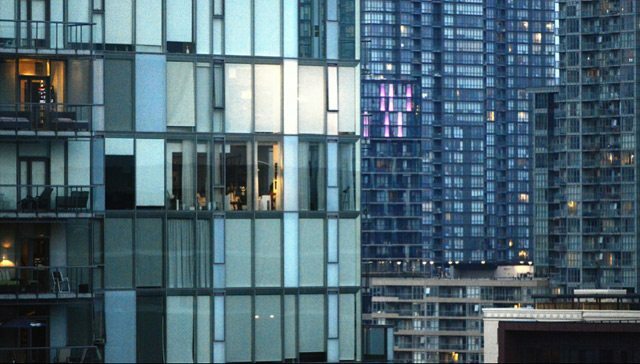 According to David Hulchanski’s 2007 “Three Cities” report [PDF], 43 per cent of Toronto’s low-income families live in high-rises. They are all paying a much higher property tax rate than the one paid by wealthier homeowners. There are ways to maintain and even increase service levels, while still keeping property taxes low—either by increasing the property tax base or by looking to other kinds of revenue. The existing property tax base in Toronto doesn’t grow when property values go up. But it can grow if the total number of properties increases—if the government approves of new construction. If Toronto added 100,000 average-size households over the course of five years, that would alleviate residential property tax pressure by 10 per cent. This kind of dramatic impact is seen more often in smaller, growing cities where one or two large developments can have a disproportionately large effect, and where less of the land is already developed. It’s part of the reason why Toronto does not experience the same kind of assessment growth we see in Halton, Peel, Durham, and York. Another strategy for keeping property taxes low is diversifying the City’s revenue sources. This was part of the thinking when city council first adopted the land transfer and vehicle registration taxes (the latter was repealed under Rob Ford). The land transfer tax now contributes almost $350 million to the City’s annual budget. We would need to increase property taxes by 14 per cent in order to generate that revenue. Likewise, user fees—the money you pay for specific services, like registering for swim classes at a local rec centre or having extra garbage bags picked up—are an increasingly important part of the budget. From 1999 to 2012 property taxes increased by 38 per cent; over the same period, user fees increased by 106 per cent. Whenever property tax debates crop up, someone will inevitably point out that Toronto’s rates are low compared to the surrounding municipalities. 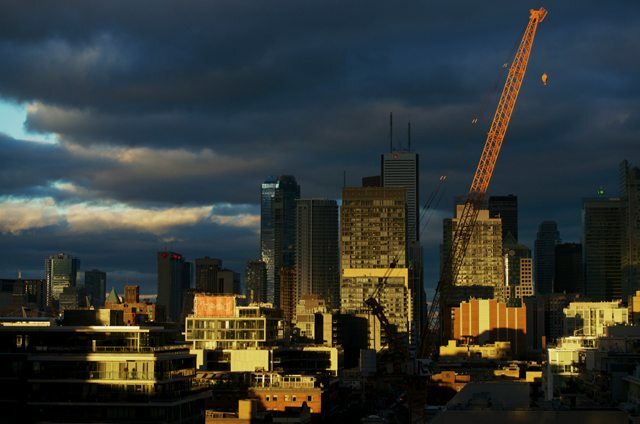 It is true that Toronto’s mill rate is very low—at 0.74 per cent, it is the lowest in the GTA. Why do some cities have much lower property tax rates than others? One factor: property values in Toronto are higher than many of the surrounding municipalities, which tends to make the tax rate lower. (Plowing a kilometre of road costs roughly the same amount, no matter the value of the properties on that road. If property values are higher, you need to tax at a lower percentage in order to generate enough money to plow that kilometre.) This doesn’t explain everything, however: our average house prices are not actually the highest in the GTA. Another factor to consider is service levels: the lower the service levels, the lower mill rates tend to be. Most municipal services—such as the number of police officers—are actually legislated by the province, and thus all cities must provide them. But as a major city, Toronto has some significant additional services to provide: things like transit, social housing, and a shelter system are essential to large urban centres, but not required (at least not to the same extent) in smaller municipalities. We receive provincial contributions to cover portions of some of these services, but nothing for others, like TTC operating costs. All of which is to say, our low property tax rate is not a result of low service levels: the City is able to provide significantly more services while still maintaining a low rate. This brings us to a third factor, which is the number of households in a given municipality. Urbanists often argue that increased density is a net gain for cities. It limits sprawl, which is a source of major environmental concern; allows for infrastructure development, like transit improvements; and makes a city like Toronto more dynamic. Importantly, it also allows a city to deliver services more efficiently. Density and the accompanying economies of scale aren’t just good for livability and planning—they also make property taxes more affordable than they would otherwise be. 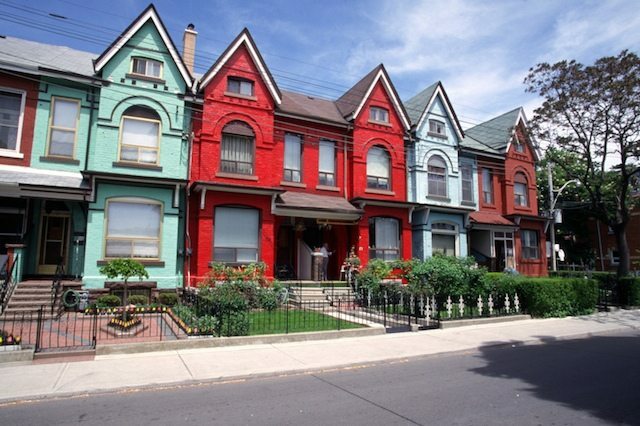 According to an analysis by the consultancy firm BMA, the average Toronto household pays $1,100 less in property taxes than in the GTA overall: a 30 per cent difference.